Elderly people waiting n trolleys in A&E has already made headlines this year however the IMO state figures for patients on trolleys is set to get worse. Image Credit: Side Stage. Despite increased healthcare funding in Budget 2019, over 1,000 patients are expected to be on hospital trolleys this winter according to the Irish Medical Organisation (IMO). 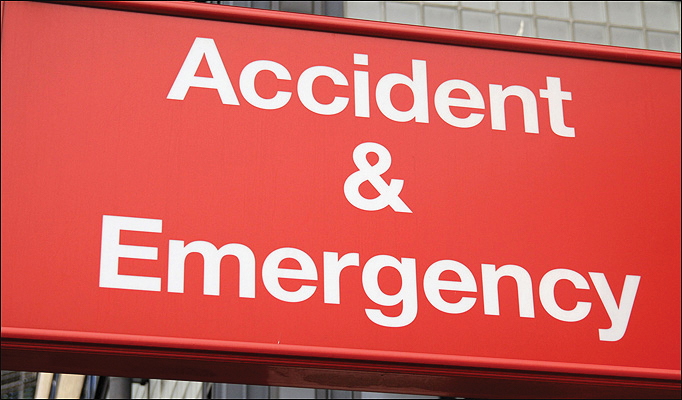 The number of patients waiting to be admitted to hospital beds is expected to hit a record high this winter. Despite the allocation of €10 million to increase the number of hospital beds, the first 80 of the promised 600 beds will not be seen until next spring. This means that the bed-patient ratio will continue to rise over the next few months. The current record is 714 patients on trolleys on March 12th this year, according to The Irish Times. Numbers decreased by a monthly average of 6.4 per cent until November when the numbers increased again by almost 50 per cent to 591 patients on hospital trolleys, according to the Irish Nurses and Midwives ‘Trolley Watch’ figures. The number of acute hospital beds stands at 5,360, according to the ‘Health Service Capacity Review’ for 2018. These beds are provided for patients spending 18 days or less in hospital. The report states that acute care is between 95 to 100 per cent capacity and an additional 2, 590 beds will be needed by 2031 to meet healthcare demands. “At the moment it’s not bad like I feel the Rotunda do really well to manage the bed-patient ratio,” said Suji Kim, a midwife at the Rotunda Hospital in Dublin. The Rotunda Hospital, like many others in Ireland, is understaffed which only adds to the problem, according to Kim. There is a shortage of nurses and midwives due to many choosing to find work in other countries and going on maternity leave. Budget 2019 invested €17 billion in healthcare. This is the highest amount of funding the Department of Health has ever received, according to the Irish Medical Times. The IMO were unhappy with the outcome of the Budget and highlighted in a press release the fact that funding was given to private services over public health services. The capacity constraints are the reason for dangerous overcrowding and there is a requirement for more consultants, beds and general practitioners, according to a statement by Dr Peader Gilligan, President of the IMO.